Solarsilk worked closely with the startup CampaignWell on an interactive web application that is the core of their business offering. 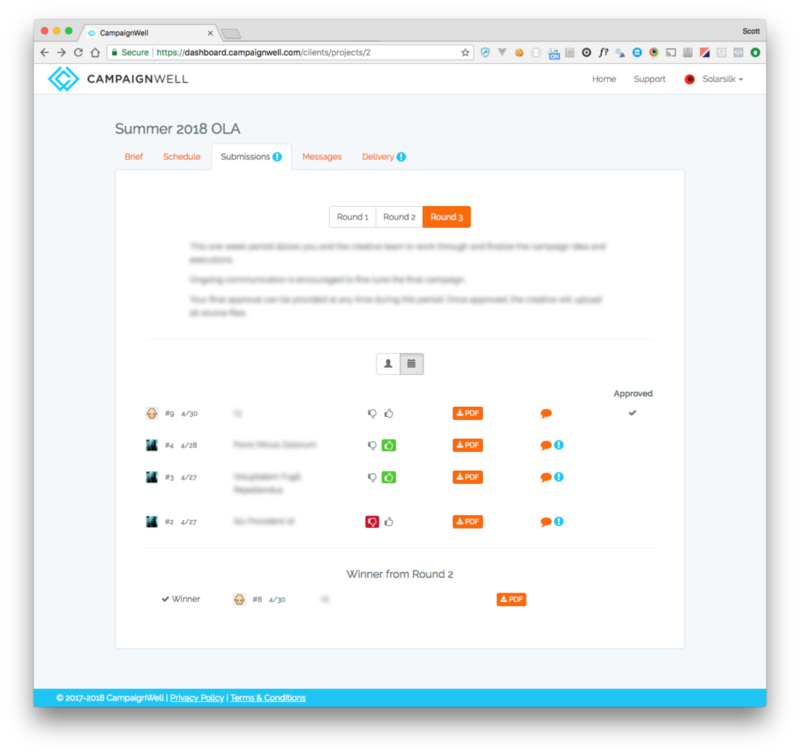 With logins for multiple user types, this robust Laravel application allows “clients” to create projects, “creatives” to post content for clients to review, approve and comment on, all within a dynamically adjusting project timeline. Many types of notification emails are sent via SendGrid, while Amazon S3 securely houses and serves UGC. Many more features including digital signatures, full user messaging capabilities, and an Admin dashboard make this a full featured web application that CampaignWell relies on daily.